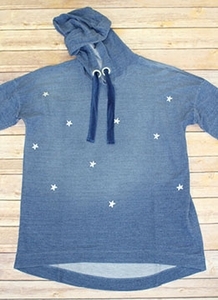 Tribal Chambray Long Sleeve Drop Shoulder Hoody. Fabric 70% Lyocell & 28% Cotton. Machine Wash Delicate.